After the word Amen, here it comes a new post. At the beginning of September, I attended a convention in a small city close to mine. Of course, being the place as big as an ant hole I couldn’t pretend anything.Anyway, I was quite surprised, the convention was cool. I couldn't choose a better cover for the article. A faboulous Grelle. I cosplayed as Teiko Murasakibara again (Too hot to make the Yosen school uniform version). For being a small convention, there were several cosplayers (I think even more than there were in Rimini). I found an old acquaintance of mine. 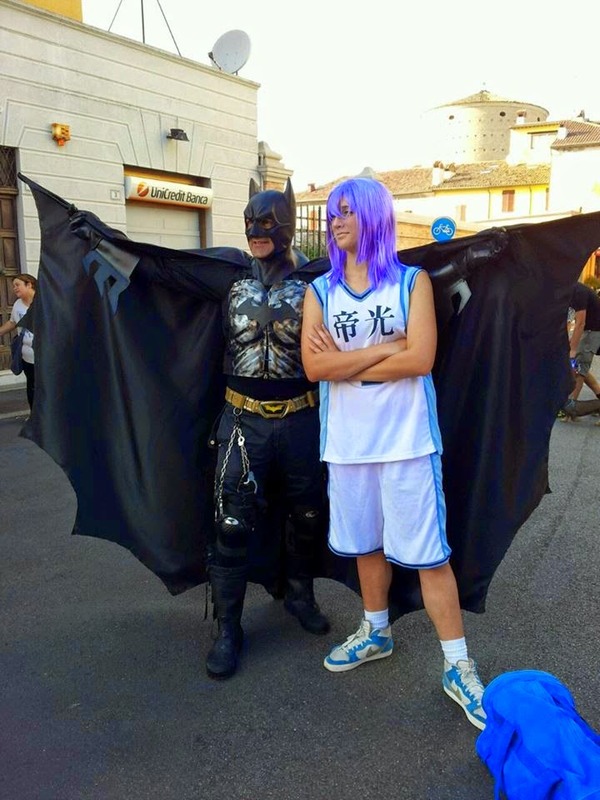 There’s a man who normally walks around dressed like Batman (with normally I mean even in July, when the average temperature here is 43°C). He suddenly stopped me and said something like “Going somewhere? Your clothes are white, mine are black, let’s have a picture together”. Guest star of this event was the Japanese cosplayer Reika. Me and my friends accidentally passed in the middle of her photoshoot…. I was watching a cosplayer performing some original anime songs when a man called me to have a picture with his children. After we took the photo, he turned to me saying “Mila and Shiro, right?”. I was happy with the several comic book stands in the city square. As usual I had my fair amount of money spent. I bought a cute Lugia plushie. I was undecided among it and Drifloon, in the end my friend said “You’d better take Lugia”, and so I did. I also bought Kuroshitsuji n°4, but honestly it looked like a robbery to me. I paid it at a full price, but the cover is scratched on the side and creased on the front. Not to mention that the rebinding seems made with stick glue (Just like all the comics published by the same editor). But anyway, anyone makes mistakes. Inside the city castle there was a Diabolik exposition with unique pieces, and in which you could take free comics. There was also an armor exposition. Small but nice. This time I got myself some pokies for the pictures. I didn’t notice they were made of dark chocolate. Worst experience of my life. I was so intelligent to bring my camera without the memory card, thus all the photos taken are my friend’s. I went there just one day due to my imminent exam. 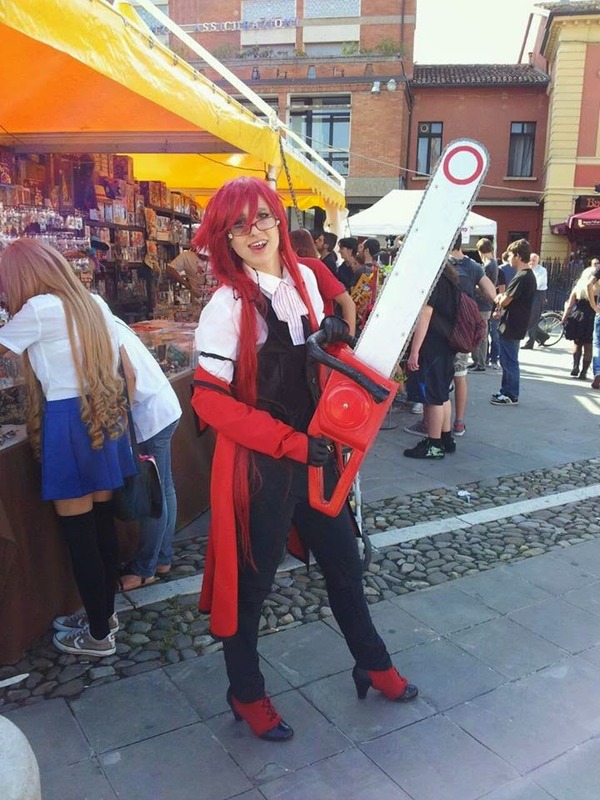 In this page you can see almost all the cosplays made during the convention.